Understanding plasma-wall interaction is quite challenging. This is especially true in PATH due to the high-density plasma required for the plasma antenna to operate. Prediction of the erosion arising from such interactions is one of the most important goals of a well performed design; engineers need simple design tools for a quantitative prediction of the orifice erosion. In the framework of WP1-2, the consortium developed a simple analytical model for the prediction of erosion in the orifice of the Hollow Cathode antenna prototype. 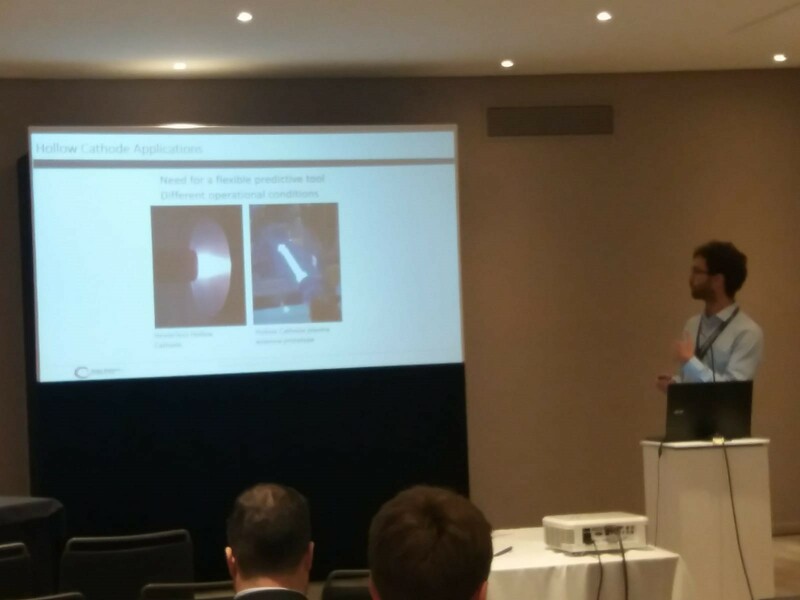 The work was presented in the Space Propulsion 2018 conference held in Seville 14-18 May 2018. The Hollow Cathode technology is vey well know in the space propulsion field, it seemed more natural to describe and present the model in this field of application as the scientific and industrial audience is more familiar with the topic. SP2018 – F.Coccaro presenting the work developed. On screen the PATH hollow cathode plasma antenna.